Some of the world’s most notable campaigners spectacularly battling each other in their high-tech race cars with output of some 500 hp on race tracks throughout Europe – this is the DTM. Since as far back as 1984 the internationally popular touring car series has been captivating fans with a mix of attractive motorsport and varied entertainment including high-caliber racing series held as part of the supporting program. Three German premium manufacturers – Audi, BMW and Mercedes – have been involved in the DTM for years. As early as in the initial years of the DTM, Schaeffler supports drivers and teams with know-how in racing and technology. Stickers of the LuK product brand adorn suits and vehicles. 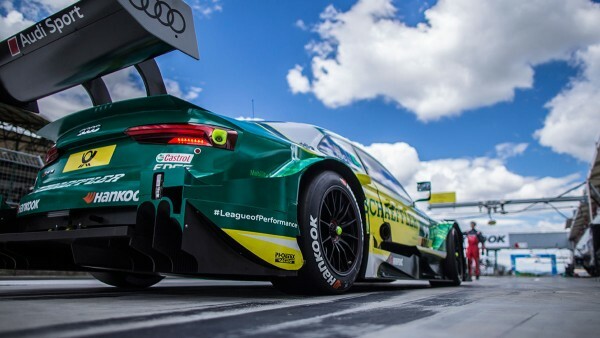 In 2011, the technology group concentrates its commitment and gives its name to the Schaeffler Audi of Phoenix Racing, instantly followed by resounding success. Campaigner Martin Tomczyk takes a place in the top five in all ten races clinching three victories and a dominant title win one race before the end of the season. So, as champion in its DTM debut year, Schaeffler celebrates a major triumph. In 2012, Mike Rockenfeller becomes the new Schaeffler campaigner. Just a year later, on winning the drivers’ classification, he hits the bull’s eye as well. For Schaeffler, it marks the second title win in its third year as a vehicle sponsor. In the following years, Schaeffler, Audi Sport Team Phoenix and Mike Rockenfeller continue to form a congenial trio. 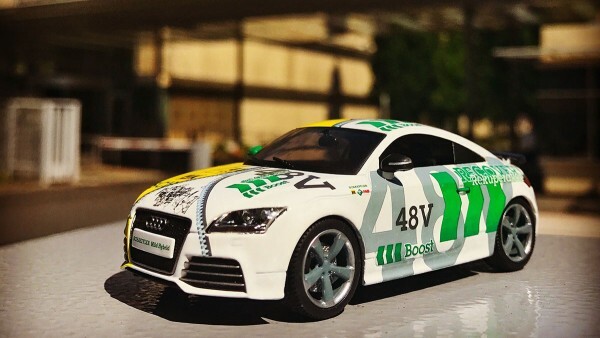 Rocky has been one of the fastest Schaeffler ambassadors to this day. The internal combustion engine that is traditionally used in DTM cars has not become obsolete yet. Quite the opposite is true. Particularly in the field of hybrid powertrain architectures, combustion technology continues to be a crucial driver of mobility for tomorrow. Engineers from Schaeffler are working on ways to extract the maximum output from the energy input. There is substantial room for improvement as currently only a fifth of the power in a fuel tank is put on the road. 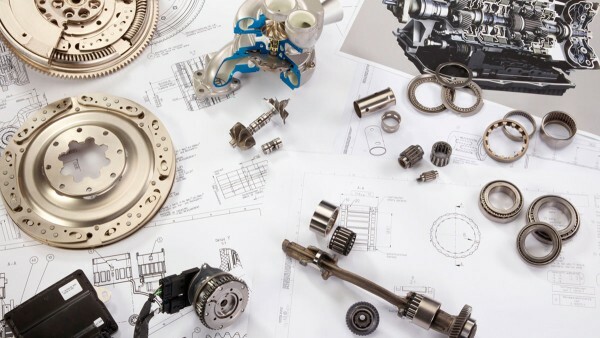 “We estimate the entire remaining efficiency enhancement potential at the current state of production engines to be at least 20 percent for gasoline and 10 percent for diesel engines,” reveals Schaeffler’s Chief Technology Officer Prof. Peter Gutzmer. Industry experts agree that this will not be achievable by a single solution. 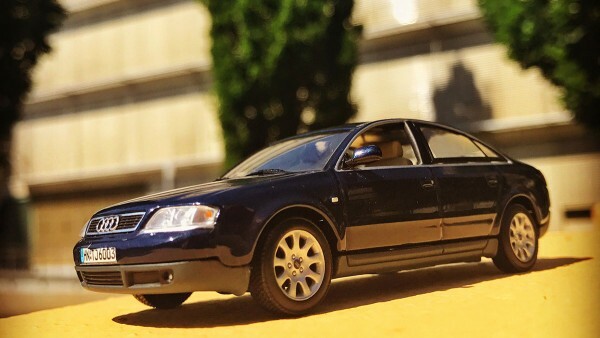 It takes a large number of individual ideas and improvements to reduce fuel consumption, both in the IC engine itself and in the entire powertrain. Schaeffler has a wide product portfolio for ICE powertrains. Having driven the Schaeffler Audi in the DTM since 2012, Mike Rockenfeller is the key figure the Group has been identified with in the DTM. Following his title win in 2013, Rocky was again battling for position 1 in 2017. Up until the last race at Hockenheim, he still had the chance of clinching his second title win in the Schaeffler Audi but then just barely missed it with a twelve-point deficit. Mike Rockenfeller, though, is more than a “mere” race driver. As a Schaeffler brand ambassador he additionally embodies the company’s values in impressive ways. Visits to Schaeffler’s plants are by no means onerous obligations for him. Instead he enjoys them and encourages employees to explain their jobs to him. For the workers, familiarizing the 2013 DTM Champion with the enormous breath of Schaeffler’s product range in a direct dialog and experiencing him first-hand is both an honor and motivation. As early as in the 1980s, DTM cars sporting stickers of Schaeffler’s LuK product brand competed in the DTM and since 2011 an Audi completely wrapped in Schaeffler colors has been attracting attention. What’s the objective behind this commitment? 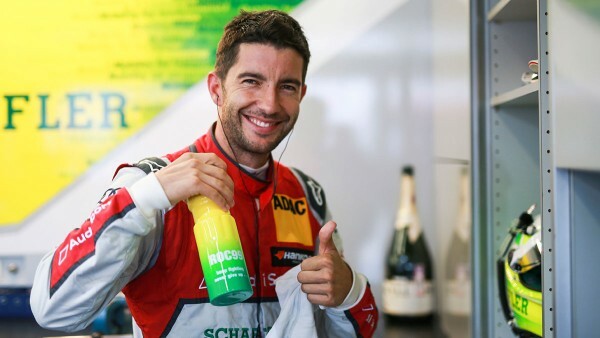 In 2017, Schaeffler brand ambassador Mike Rockenfeller again competed in the DTM at the wheel of an Audi. The vehicle communicates a clear message. In 2016, some 1,000 Schaeffler employees with banners, baseball caps and T-shirts of your company practically transformed the grandstands during the DTM season’s highlight at the Norisring into a “green wall.” What kind of a feeling was that? The technologies used in race cars and production vehicles in many cases are not very far apart. How do these two areas benefit from each other? The DTM has always been racing with classic IC engines. 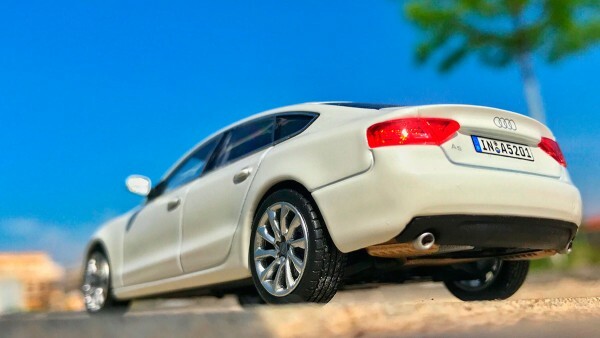 By contrast, electrification is the predominant topic in the automotive industry at the moment. Will IC engines have a chance in the future? Both in the DTM and in the Formula E electric racing series, Schaeffler and Audi have jointly celebrated major successes. By developing the entire powertrain for the race car of Team Audi Sport ABT Schaeffler, Schaeffler is involved in shaping mobility for tomorrow as well. The same is true off the race track, as the successful partnership between Schaeffler and Audi has been in existence for several generations. As far back as in 1950, Schaeffler’s cage-guided needle bearing is installed in the DKW F89 made by Auto Union, a company that preceded today’s AUDI AG. It turns into a million-seller within a very short period of time. Across the following decades, Schaeffler and Audi intensify their collaboration. Since the mid-1960s, clutches by Schaeffler’s LuK brand are used at Audi as well. In the 1980s, the efficiency of the clutches is enhanced by stiffer designs, for the Audi 100, among others. In 1993, the self-adjusting clutch (SAC) goes into production, debuting in the Audi S4 Bi-Turbo. The continuously variable transmission, the thermal management module or the electromechanical roll stabilizer – listed on the following page are other important technology milestones achieved in the partnership between Schaeffler and Audi. In 1949, Georg Schaeffler achieves a breakthrough invention, the cage-guided INA needle bearing. It offers reduced friction and torque stability which revolutionize the roller bearing market. 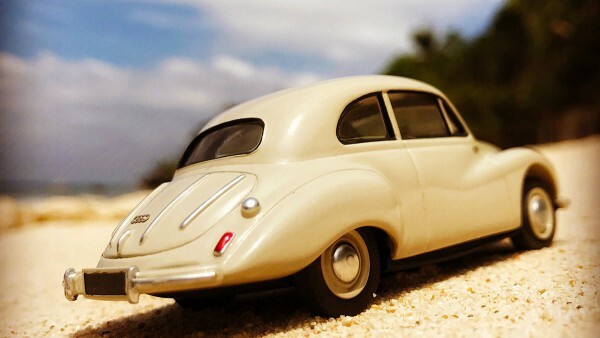 In 1950, it is first used in the Auto Union DKW F89 dubbed as “Meisterklasse” (“Master Class”). The diaphragm clutch introduced into automobiles by Schaeffler’s LuK brand in the mid-1960s displaces the preceding unit with helical springs from the passenger car market. 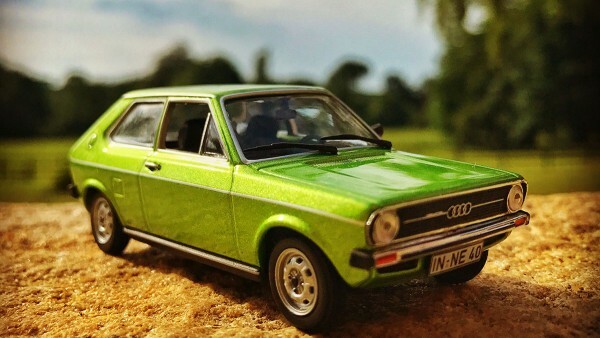 As well as in other models, Audi uses the technology in its compact Audi 50, enabling the four rings to tap into new consumer groups. Today’s Schaeffler ambassador Armin Schwarz, on winning the title in the 1986 Mitropa Rally Cup, achieves his breakthrough in international rally racing. 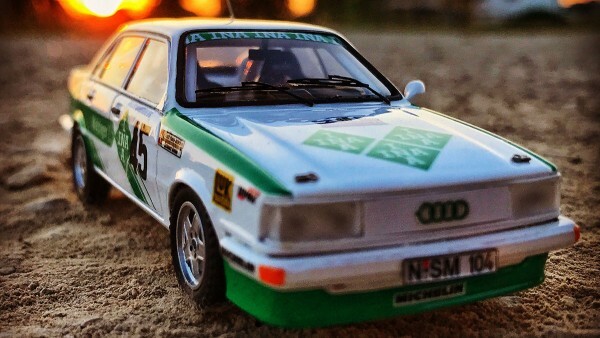 In his Audi 80 quattro sporting conspicuous graphics of Schaeffler’s INA brand, numerous new valve train components are tested. 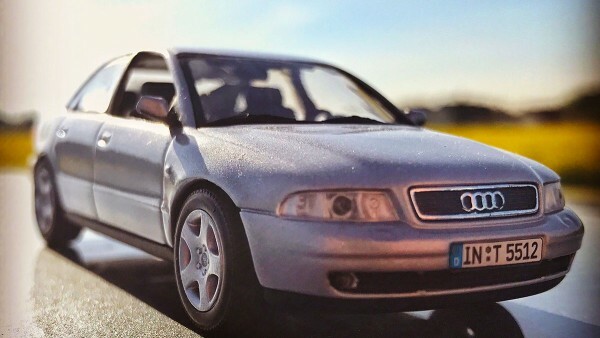 The overrunning alternator pulley debuts in the Audi A4. Today, it is installed in practically any efficient car, stabilizing rotational irregularities in the belt drive. The result: smoother running and enhanced NVH performance. The continuously variable transmission is enabled thanks to a high-tech engineering design from Schaeffler. 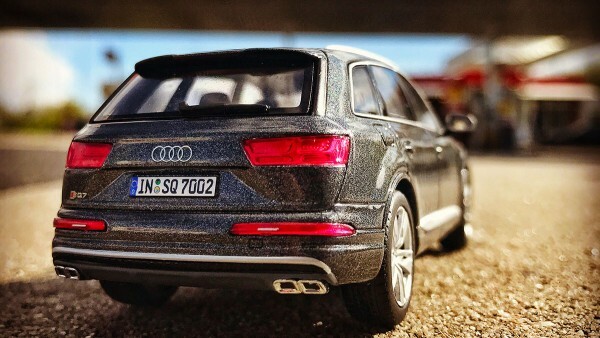 Featured in the legendary “bobblehead” TV commercial, the technology which Audi calls “Multitronic” acquires fame. 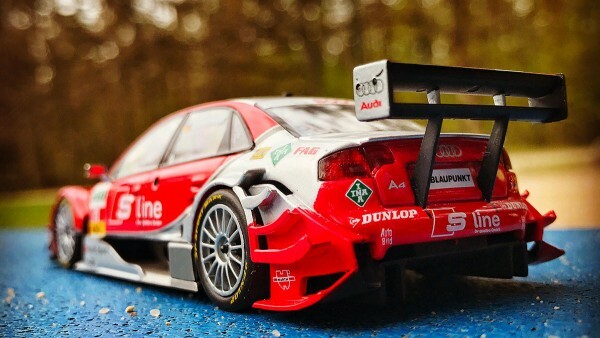 In many motorsport disciplines, such as in the DTM on Mike Rockenfeller’s Audi A4 DTM, logos of Schaeffler’s LuK, FAG and INA brands are emblazoned on the cars. Today, the company’s appearance at the race track is billed as OneSchaeffler. Schaeffler’s thermal management module controls temperature management in the entire powertrain. This allows the ideal thermal condition of the engine and transmission to be achieved as soon as possible and fuel economy to be enhanced. 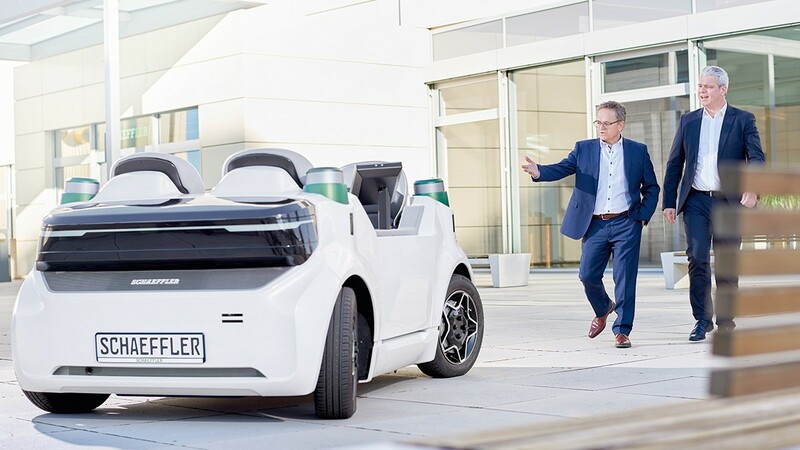 In the “Schaeffler System 48 V” concept vehicle based on an Audi TT, Schaeffler demonstrates the potential of 48-volt hybridization. An electric rear axle complements the IC engine and recuperates braking energy at the same time. Twenty races at ten events in six European countries – the race calendar of the coming DTM season is again extensive and varied. For the first time, the touring car series is visiting Misano, Italy.